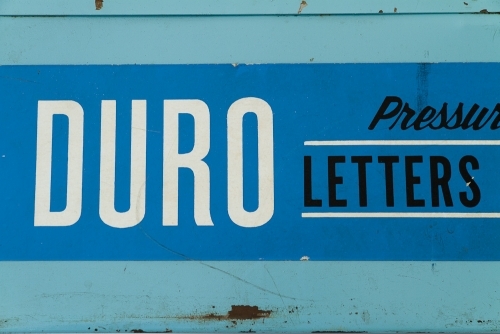 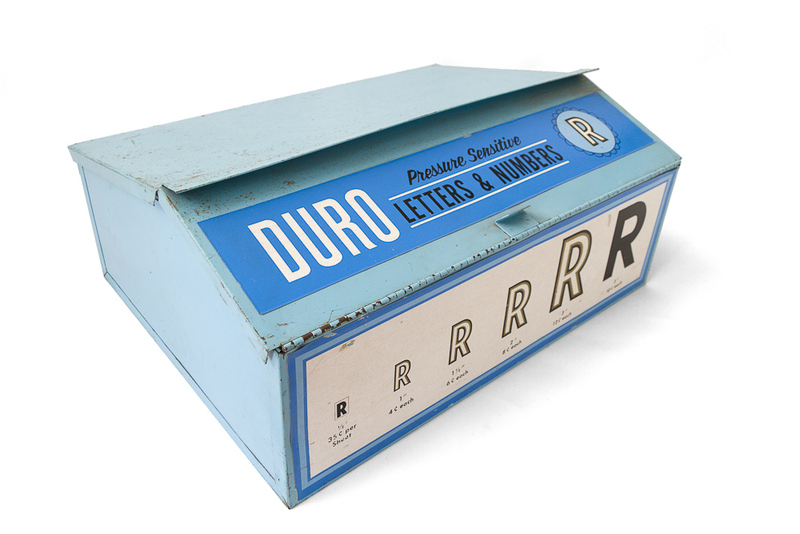 The Duro Decals brand, which still exists today, has been knocking out good, wholesome, sturdy display type and lettering (in decal, sign, and stencil form) since 1938. The Chicago-based company begat “Duro Dan,” their quirky advertising mascot, a sort of elvish, mustachioed gnome-like character that touted Duro’s wares during the middle of the 20th century. 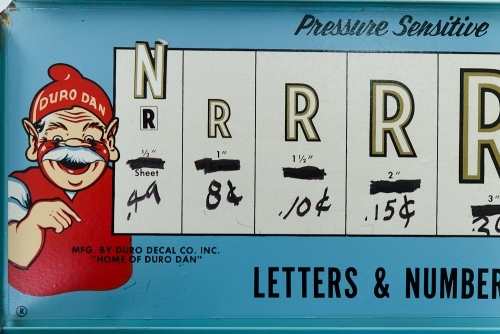 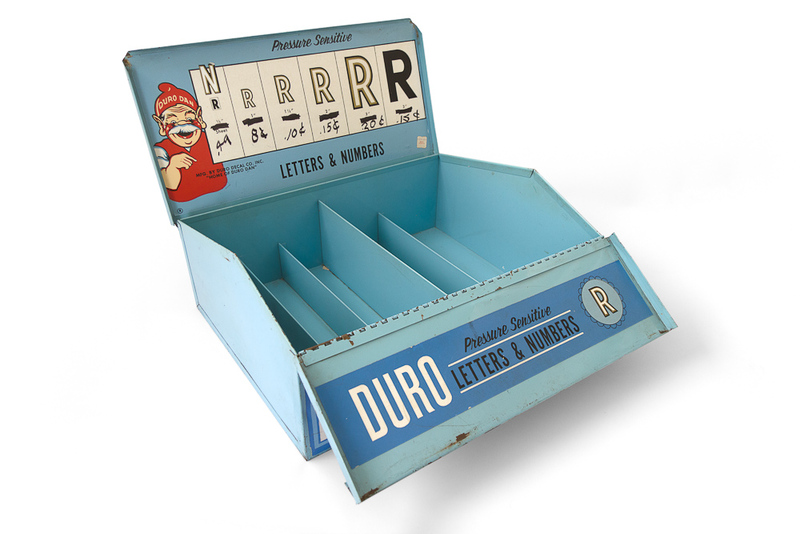 This “Pressure Sensitive Letters & Numbers” box was originally made as a point of purchase display for selling individual letters, numbers, and symbols as pressure-sensitive labels. There is some gorgeous condensed gothic / grotesque (sans-serif) type throughout, evocative of the late 1950s and early 1960s, when this was probably manufactured. 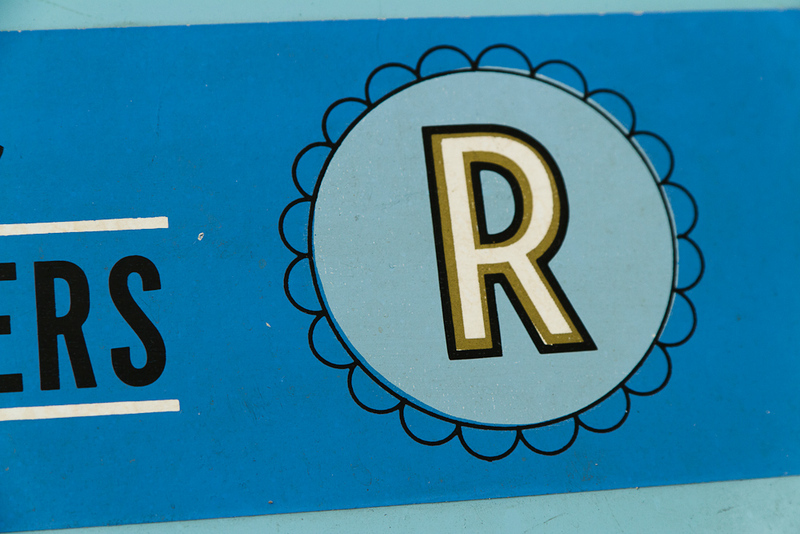 And it can be all yours if you get to Etsy first.